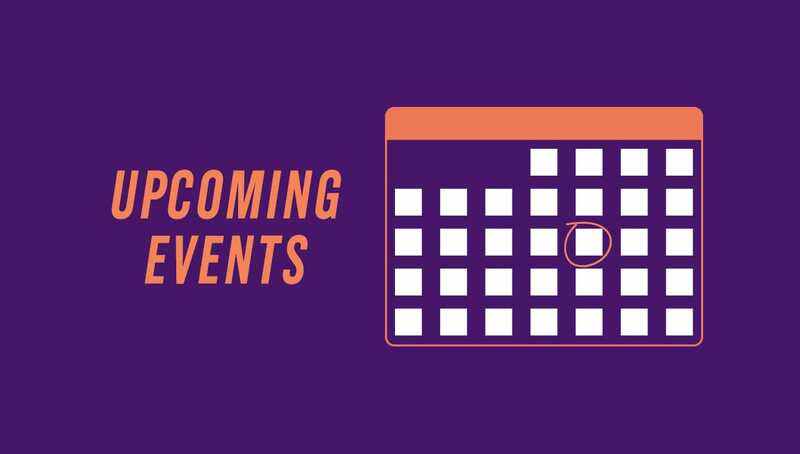 The University of Scranton announces calendar of events for October 2018. Through Oct. 5 Art Exhibit: “Liquid Earth: Contemporary Cast Iron Sculpture.” Hope Horn Gallery, Hyland Hall. Free during gallery hours. Call 570-941-4214 or email darlene.miller-lanning@scranton.edu. Through Dec. 14 Library Exhibit: “The World’s Best Penman-The Artistic and Business Career of Charles Paxton Zaner, 1864-1918.” Heritage Room, Weinberg Memorial Library. Free during library hours. Call 570-941-6341 or email michael.knies@scranton.edu. Oct. 1 Noon. Schemel Forum’s Munley Law World Affairs Luncheon Series: “Democracy Dies in Darkness” presented by Elzbieta Matynia, Ph.D., professor of sociology and liberal studies and director of the Transregional Center for Democratic Studies at the New School for Social Research. Rose Room, Brennan Hall. Registration required. Fees vary. Call 570-941-6206 or email alicen.morrison@scranton.edu. Oct. 2 5:30 p.m. Asian Studies presents “Sound and Tea Meditation” with Buddhist Venerables from the Dharma Drum Retreat Center, New York, and reception following. McIlhenny Ballroom, DeNaples Center. Free. Call 570-941-6312 or email ann.pang-white@scranton.edu. Oct. 4 6:30 p.m. President’s Business Council 17th Annual Award Dinner honoring Scranton alumni Linda McGowan, partner, PricewaterhouseCoopers LLP, and Joseph L. Sorbera Jr., president, JLS Cost Management Systems Inc., at The Pierre, New York City. Proceeds from the dinner support the University’s Presidential Scholarship Endowment Fund. Tickets required. Call 570-941-5837 or email PBC@scranton.edu. Oct. 11 8:30 a.m. 17th Annual Northeastern U.S. Conference on disAbility “Everyday Tools: Technology for Accessing Education, Employment and Life.” McIlhenny Ballroom, DeNaples Center. Free for general public with $25 fee for registrants interested in CEU credit. Call 570-941-7819 or email rebecca.dalgin@scranton.edu. Oct. 11 4:30 p.m. Keynote Address by Bern Gavlick and Bill Ziegler titled “Working Through the System” in conjunction with the 17th Annual Northeastern U.S. Conference on disAbility. McIlhenny Ballroom, DeNaples Center. Free. Call 570-941-7819 or email rebecca.dalgin@scranton.edu. Oct. 12-14 and 19-21 8 p.m. Friday and Saturday; 2 p.m. Sunday. “The Laramie Project” by Moisés Kaufman and The Members of the Tectonic Theatre Project presented by The University Players. Royal Theater, McDade Center for Literary Performing and Arts. Fees vary. Call 570-941-4318 or email players@scranton.edu. Oct. 12 7:30 p.m. Performance Music: “In Recital” featuring Juilliard graduate Alexander Pittorino, organ. Houlihan-McLean Center. Free. Call 570-941-7624 or email music@scranton.edu. Oct. 13 4 p.m. Book signing by author Lorene Cary, who will receive the 2018 Royden B. Davis, S.J. Distinguished Author Award from The University of Scranton’s Friends of the Weinberg Memorial Library. DeNaples Center. Free. Call 570-941-7816 or email kym.fetsko@scranton.edu. Oct. 13 5 p.m. Distinguished Author Award Dinner honoring Lorene Cary, who will receive the 2018 Royden B. Davis, S.J. Distinguished Author Award from The University of Scranton’s Friends of the Weinberg Memorial Library. McIlhenny Ballroom, DeNaples Center. Reservation required. Call 570-941-7816 or email kym.fetsko@scranton.edu. Oct. 17 Noon. Schemel Forum’s Munley Law World Affairs Luncheon Series: “Translating The Odyssey: How and Why” presented by Emily Wilson, Ph.D., professor, Department of Classical Studies, and chair, Program in Comparative Literature and Literary Theory, University of Pennsylvania. Rose Room, Brennan Hall. Registration required. Fees vary. Call 570-941-6206 or email alicen.morrison@scranton.edu. Oct. 18 5:30 p.m. Schemel Forum and The University of Scranton Office of the President Collaborative Program: “The Humanities: Now More Than Ever” presented by Rev. Scott R. Pilarz, S.J., president, The University of Scranton. Pearn Auditorium, Brennan Hall. RSVP required. Free event. Call 570-941-6206 or email alicen.morrison@scranton.edu. Oct. 18 6:30 p.m. Reading Series: Department of English and Theatre presents novelist Angie Cruz. McDonnell Room, DeNaples Center. Free. Call 570-941-7619 or email susan.mendez@scranton.edu. Oct. 19 7:30 p.m. Performance Music: “In Recital” featuring Jeremy Ajani Jordan, piano, and Mark Dover, clarinet. Houlihan-McLean Center. Free. Call 570-941-7624 or email music@scranton.edu. Oct. 21 through Nov. 16 Art Exhibit: “America in a Trance: Photographs by Niko J. Kallianiotis.” Hope Horn Gallery, Hyland Hall. Free during gallery hours. Call 570-941-7624 or email darlene.miller-lanning@scranton.edu. Oct. 21 9 a.m. Open House for prospective students and their families. John Long Center. Registration required. Free. Call 888-SCRANTON or email admissions@scranton.edu. Oct. 24 6 p.m. Library Lecture: “The World’s Best Penman-The Artistic and Business Career of Charles Paxton Zaner, 1864-1918” presented by Michael Knies, University of Scranton special collection librarian. Heritage Room, Weinberg Memorial Library. Reception following. Free. Call 570-941-6341 or email michael.knies@scranton.edu. Oct. 25 Noon. Schemel Forum’s Munley Law World Affairs Luncheon Series: “You Can Do Anything” presented by Eric Schnurer, president, Public Works, LLC. Rose Room, Brennan Hall. Registration required. Fees vary. Call 570-941-6206 or email alicen.morrison@scranton.edu. Oct. 27 7 a.m. Schemel Forum bus trip to Baltimore, Maryland. $85. Registration required by Sept. 29. Fees vary. Call 570-941-6206 or email alicen.morrison@scranton.edu. Oct. 27 7:30 p.m. Performance Music: “In Concert” featuring The University of Scranton Jazz Ensemble with guest soloist Joseph Boga, trumpet/piano. Houlihan-McLean Center. Free. Call 570-941-7624 or email music@scranton.edu. Thursdays: Oct. 11, 18, 25 and Nov. 1, 8, 15 6 p.m. Schemel Forum Course: “A Reconsideration of the Politics of the Founding Generation in the Age of Donald Trump” presented by David Dzurec, Ph.D., associate professor and chair of the History Department, The University of Scranton. Room 305, Weinberg Memorial Library. Registration required. Fees vary. Call 570-941-6206 or email alicen.morrison@scranton.edu. Tuesdays: Oct. 23, 30 and Nov. 6, 13, 27 and Dec. 4 6 p.m. Schemel Forum Course: “Homer’s The Illiad and The Odyssey” presented by Harmar Brereton, M.D. Room 305, Weinberg Memorial Library. Registration required. Fees vary. Call 570-941-6206 or email alicen.morrison@scranton.edu.